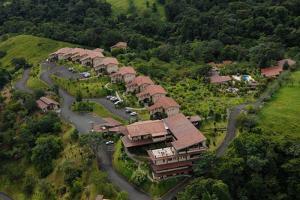 Stunning location close to the active Arenal Volcano. Heliconias - Fine dining with volcano view. Rafting, Arenal Volcano Hike Tour, Horseback Riding to La Fortuna Waterfall, Venado Caves, Mountain Biking, Peñas Blancas Safari Float, Arenal Hanging Bridges, Canoeing, Sport Fishing Arenal Lake, Boat Rides on Arenal Lake, Rio Celeste Tour, Four Trax Adventure, Sky Tram & Sky Trek.